Bedroom supplies. Bathroom supplies. LED Quantity: 20 LED in a string. Kitchen supplies. 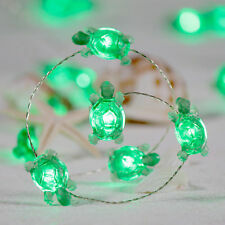 1 x LED Light String (BATTERY NOT INCLUDED). 2-Mode Lighting: Steady On Flash, adjust it to your desired mode andcreate more romantic atmosphere and spirit for your guests towards the party or gathering. Bedroom supplies. Bathroom supplies. LED Quantity: 20 LED in a string. Kitchen supplies. 1 x LED Light String (BATTERY NOT INCLUDED). Clip style, designed for your most artworks and photos. 2-Mode Lighting: Steady On Flash, adjust it to your desired mode andcreate more romantic atmosphere and spirit for your guests towards the party or gathering. Why you should choose Impress Life LED Decorative Lights?. Unique design and function - All of products were designed and manufactured by IMPRESS LIFE exclusively. Different from traditional string lights, our copper string lights are larger, lighter, safer and prettier. Length: 3m;. 1pc string. LED quantity: 20 LED;. Emitting Color: Warm white;. Lead wire length: About 100cm;. Specifications: 3M/117.9 inch ; 30pcs LEDs Style: Pumpkin (As Pictures Show) Pumpkin light dimensions: (W*H)5*4cm Powered By(Working voltage): 3 *AA battery(Batteries Are Not Included) Features: Perfect for outdoor and indoor decoration. Hang it on wedding background layout,guesthouses,hotel etc. Surely brings your elegant luxury and romantic feel energy-saving and long operating light ,easy to use. Application Christmas tree or Halloween Illuminations decoration Showcase or Window displays Restaurants or Bar Decorations Home or Garden Decorations Wedding, Birthday or party Illuminations and etc. . Shape: Coconut Palm;. Size for Coconut Palm: 2x2.5cm;. This LED Silver light is waterproof, however the battery box is not. Length: 3m;. 1pc string. LED quantity: 30 LED;. Emitting Color: Warm white;. 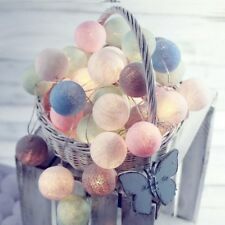 These cute fairy lights will produce a cozy warm white light that adds much festive and fun touch. 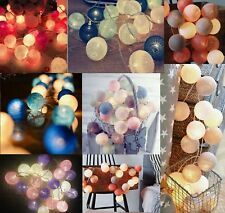 Photo clip lamp led string lights wall decoration lamp warm whit. 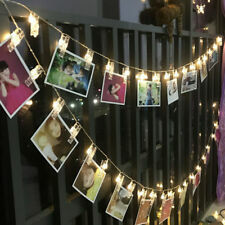 Product list:1 Photo clip lamp led string lights. NOTE: All products here were designed and manufactured by IMPRESS LIFE?. We believe creativity and quality are the keys that make us stronger. Why you should choose Impress Life LED Decorative Lights?. Length: 300CM. Super bright SMD5050 RGB colour changable LED, high intensity and reliability. Just press related key and choose the mode/ speed / brightness you need. Waterproof flexible LED Strip. “MODE”key: 20 Dynamic Modes; Such as flash, waterfall, chasing, spark bright&dull exchanging knight…. Shape: Cactus;. Size for Cactus: 1.1x1.8cm;. Length: 3m;. Operation: AA battery (not included). 1pc string. LED quantity: 30 LED;. Battery Cable length: About 30cm;. Material: Silver Wire;.